Lace, silky jersey fit and flare bridal gown with exquisite lace detail. Sequin lace and beaded bodice and skirt with lovely spaghetti straps. 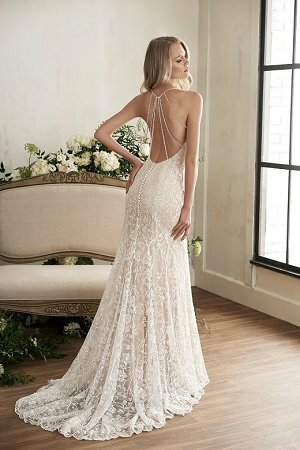 A beautiful wedding dress with captivating back straps and a sweep/court train.